Smart speakers such as Amazon’s Echo are among the most popular products in tech. They’re finding a place in consumers’ homes and lives even quicker than smartphones and tablet did; already, sixteen percent of Americans own one of the devices. As they’ve started to go mainstream, smart speakers have also started to displace older technologies. 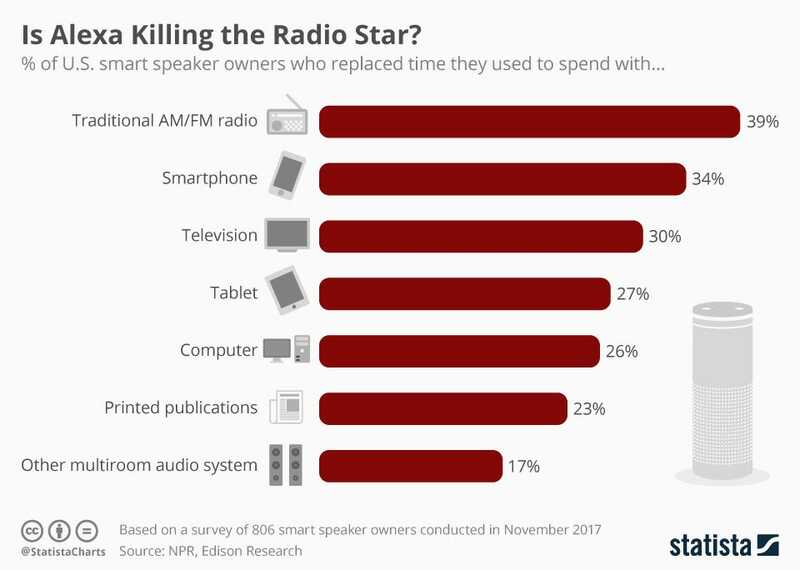 Increasingly, consumers are turning to them instead of to older devices or services for news, information, and music, as this chart created by Statista, which is based on data from NPR and Edison Research, indicates.